Last year, with The Five Boro Bike Tour coming so soon after the attack on the Boston Marathon, a rather hasty-sounding bag policy was put into place. I went along with it, and when I wrote my summary of FBBT 2013, I was practically begging for the policy of banishing popular bags (including backpacks) to end for 2014. But the other day, Bike New York released a short video about the 2014 rules. Much to my dismay, the policy remained mostly intact - and added something that made my brains crawl out of my ears and back up my nostrils. The cranial exodus was caused by my learning that panniers are not allowed…but saddlebags are allowed. To me, I've always thought of panniers and saddlebags as one and the same. You may not, but The Google - and probably anyone with even a passing familiarity with motorcycles - agrees with me. 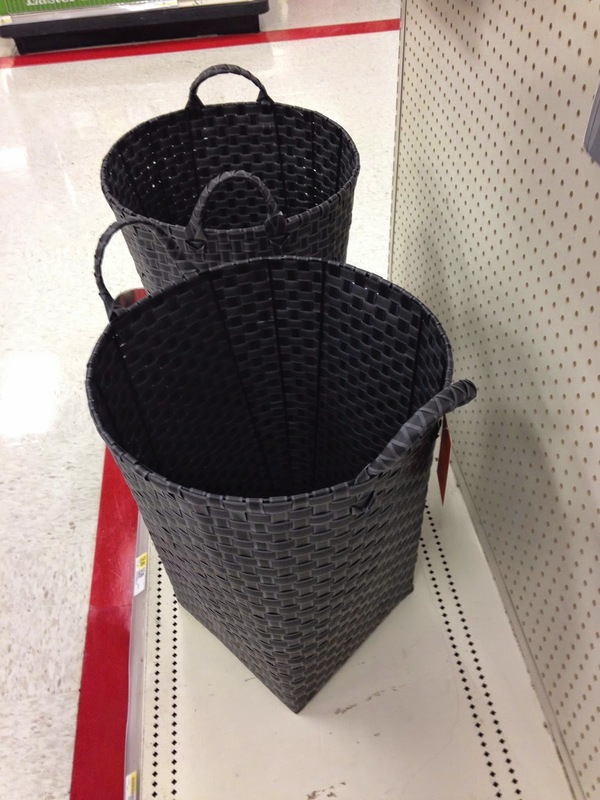 And baskets, which weren't allowed last year, are back in this year. This reversal can only be explained by the intense lobbying from the National Basket Foundation. You'll get my basket when you unweave it from my cold, dead hands (expect to see some very creative - and very large - baskets in this year's tour). Like last year: bags less than 420 cubic inches are allowed and you can have more than one…but no backpacks or hydration packs. All of these rules means my massive Even Better Bike Box would be verboten once again, which completely kills my plan of getting a pile of food at Dinosaur BBQ on the way back. I crave the garlic chipotle wings fortnightly. But we're getting off the subject. 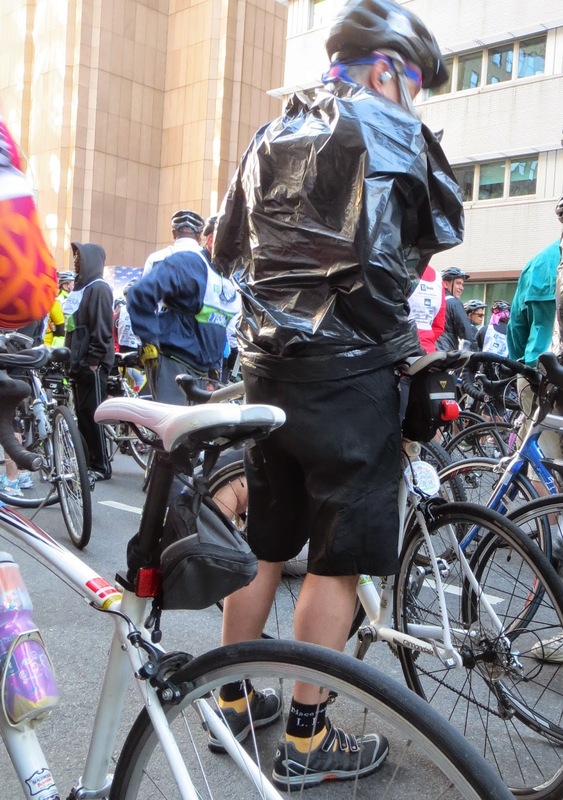 I spoke with the communications director of Bike New York about all this, along with asking for comments on my theory from last year that fewer big bags meant more weedy bungees and more loose items in the road and more accidents, but he told me there wasn't an increase. Even though he said little things like skinned knees probably go unreported, it means my myth is probably busted. Still, I wonder if not allowing cyclists to bring any sized bag they want diminishes the economic effect of having 32,000 cyclists, many of them hungry, all in the same place at the same time. 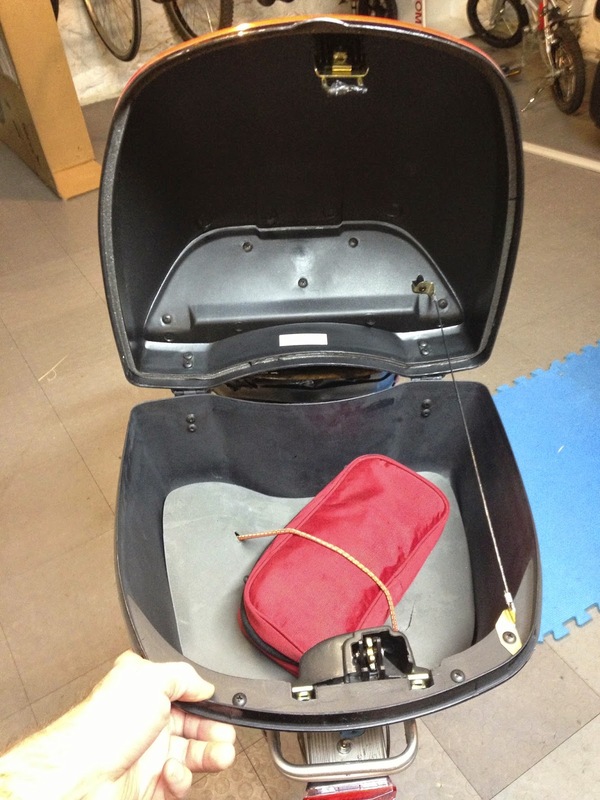 As you know, I buy an oatmeal raisin cookie at Zaro's every tour and in the earlier days thought nothing of buying a T-shirt or something at the festival since I knew I could tuck it in my bike box. If the policy was just: 'every bag is subject to search at any time for any reason' people could bring whatever they wanted and, throughout the day, buy whatever they wanted. This would be my view if I could take the now-famous Rotisserie Chicken Carrying Bike Box (also known as a cheap made-in-China scooter box from eBay). However, it will be my view only until maybe Astoria Park, because as many grizzled veterans of the Five Boro Bike Tour know: it is freezing cold at the start line and people need a place to put all of their jackets and long-sleeved shirts as the temperature climbs. This got me to thinking: what if all 32,000 of us brought light jackets and long sleeved shirts - that we want to donate - to the tour? We wear them in the morning to keep warm, and, as the temperature goes up, we donate them. 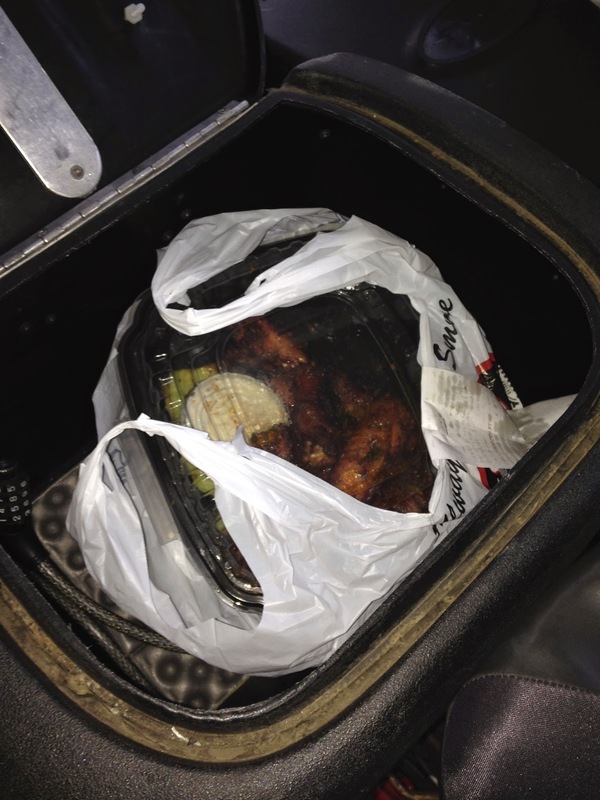 It's nicer than having to carry them in sub-420" bags or strapped to our handlebars. Bike New York: please call a clothing charity you like and arrange to have donation receptacles at each rest area. But the receptacles can't be more than sixteen cubic feet (sorry: they can be any size anybody wants, but I just had to get that last joke out of my system). Anyway, I'm working on my own sub 420" solutions that'll be in place by the start of Bike Expo New York on Friday (you may see me there). One last thing: National Bike Month begins tomorrow and Pacific Swim Bike Run in Stamford is having a consignment sale on Saturday which looks interesting. Check back with DIYBIKING.COM for more information, revisit the Five Things I Can't Live Without on the Five Boro Bike Tour page, and learn more about everything that's going on. Thanks for reading and thanks for riding. Thanks for sharing this interesting blog with usMy pleasure to being here on your blogI wanna come beck here for new post from your site .